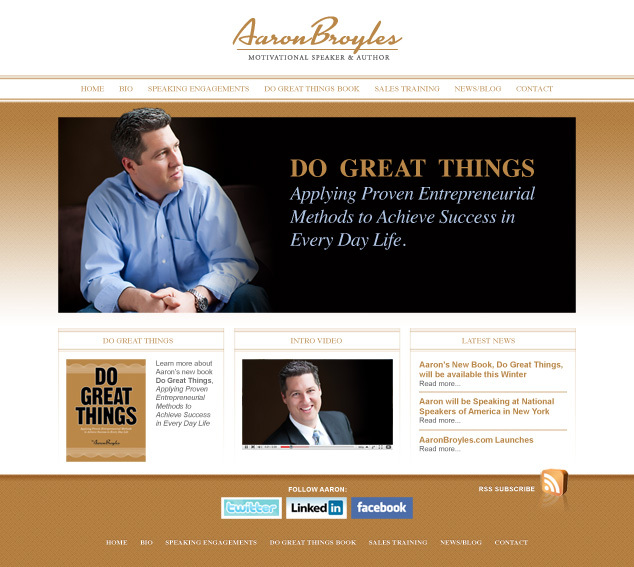 Visual Lure is in the process of branding and designing a new website for Aaron Broyles, a St. Louis area motivational speaker and author. The new website will be built in WordPress with some custom features allowing Aaron the ability to add and edit content easily. Check back soon for the live site, and as usual, here is a little sneak peek at the home page design below.